This function provides useful information for diagnosing and solving issues with the appliance based on the pattern of use. Allows you to set the timer from the application. 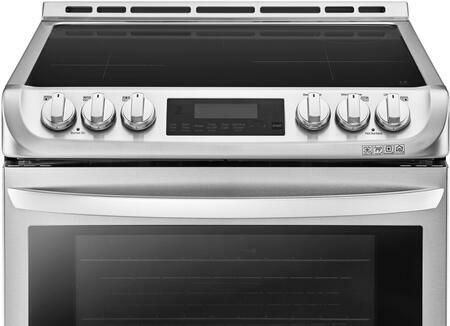 LG ProBake Convection delivers even baking results on every rack, every time. 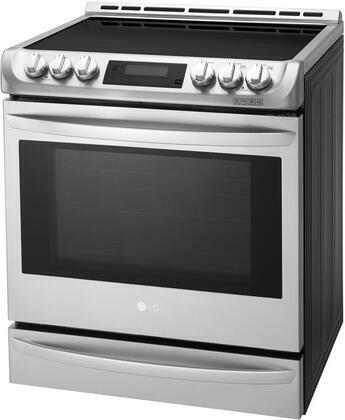 Inspired by pro-style ranges, this new LG range moved the heating element from the bottom of the oven to the back wall for optimal heat distribution. Maintain your oven without the need for chemical cleaning - simply spray the oven interior with water, press EasyClean and 10 minutes later, wipe away leftover grime. 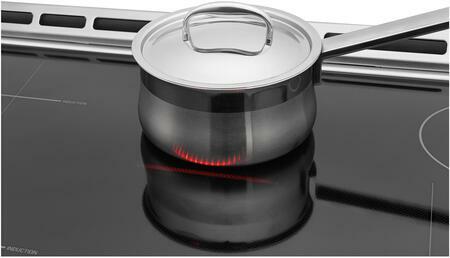 5 electric induction burners offer a wide range of output for versatile cooking performance, from gentle simmering to high-temperature searing. Induction technology focuses heat towards the bottom of the cookware only, which guarantees you quick and even heating as well as energy savings and safe operation from start to finish. 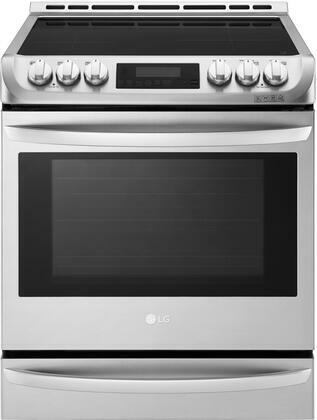 Control your range and monitor cooking progress without getting off the couch using the LG smartphone app. Cut significant time out of cooking foods like steaks and chicken breasts using the integrated infrared grill. 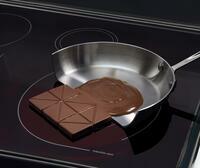 Keeps finished foods warmed to perfection until they're ready to be served. 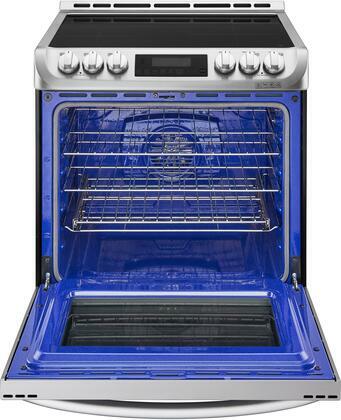 For safety, the range will automatically shut off if left on for over 12 hours. 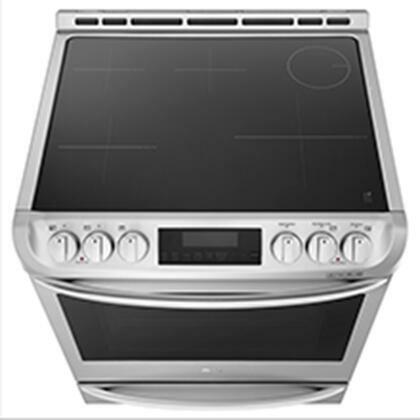 Intuitive glass touch controls provide a sleek and elegant look and are easy to use. Warming Drawer Capacity: 1 cu. ft.
Hi. I have several questions. 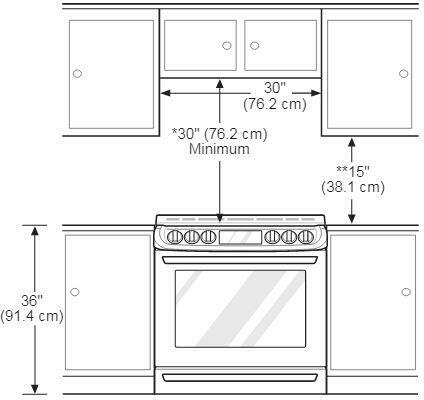 Where is this freestanding induction range made? Are there any plans for a black stainless and/or Studio versions of the same? 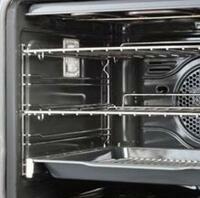 Are the oven racks porcelain and able to be left in during self cleaning process? Thanks. Where can I get a trim kit to cover the top back of the range? 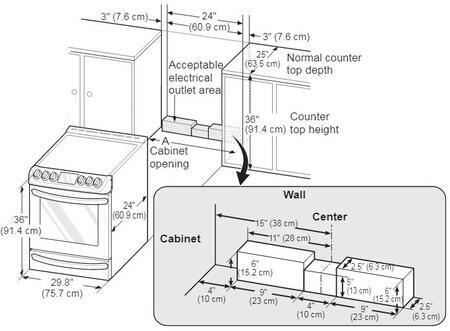 It's slightly higher than our counter. Thanks! 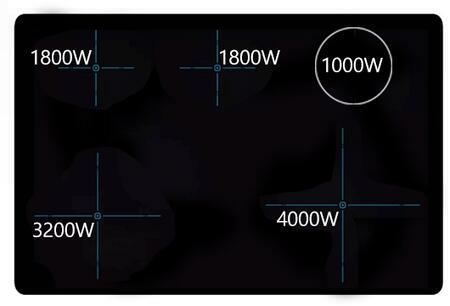 Parts and accessories can be obtained through our parts distributor, MCM Electronics. Their contact number, for placing orders, is 800-824-9491. 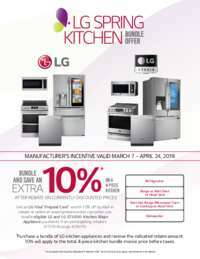 You can also use their website, at http://www.mcmelectronics.com/content/en-US/forms/lg_parts. The part number for the cover is MDX63472304. Best Interest Rate and Price! Thrilled that I was able to buy this with minimal hassles. Very good service! Everything a cook could want ! Design flaws keep this from being a good product.